I know the sneakers-as-streetwear thing has been building momentum for a while, but I'm particularly loving the look of pairing your kicks with a pair of cropped pants and a winter coat for a day of errands (or a day at the office) when it's pretty chilly out. 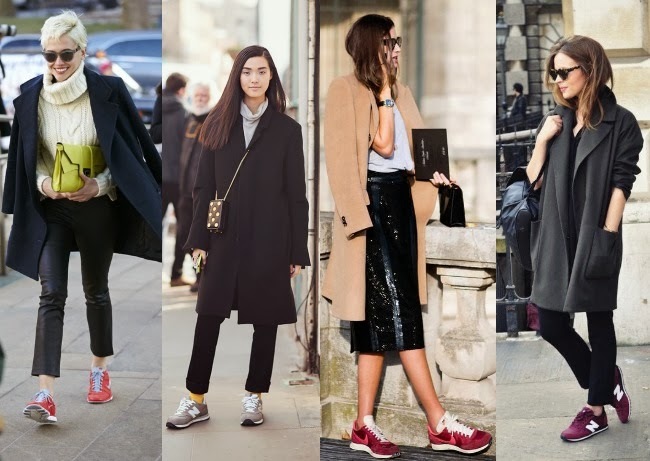 Personally, I am dying for a pair of black Nike Free 3.0 sneakers—but I also love a pop of color like red or maroon with your usual neutral uniform. Below, I picked a few of my favorite tennies from Nike and New Balance that will look as good with my Paige vegan leather trousers as they do with my actual fitness attire.